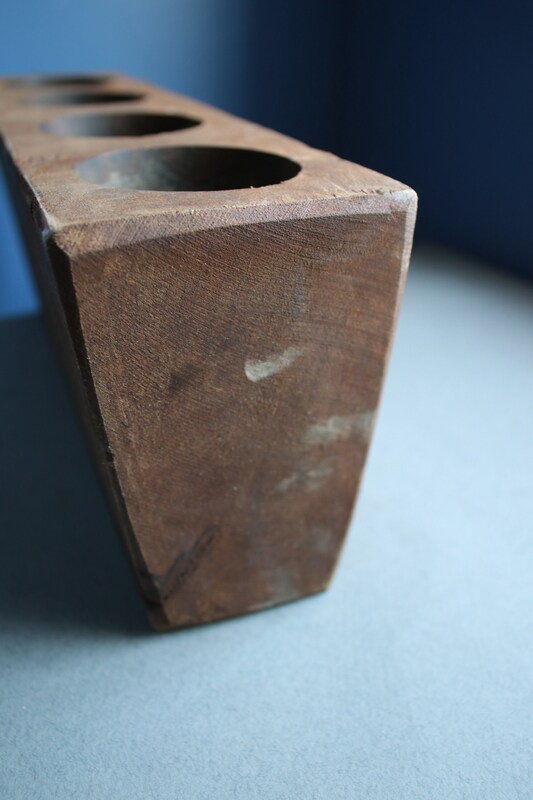 This four-cone, wooden sugar mold weighs in at close to 50 ounces and measures 13" x 4.75" x 3.25" and 4.50" in hole depth. 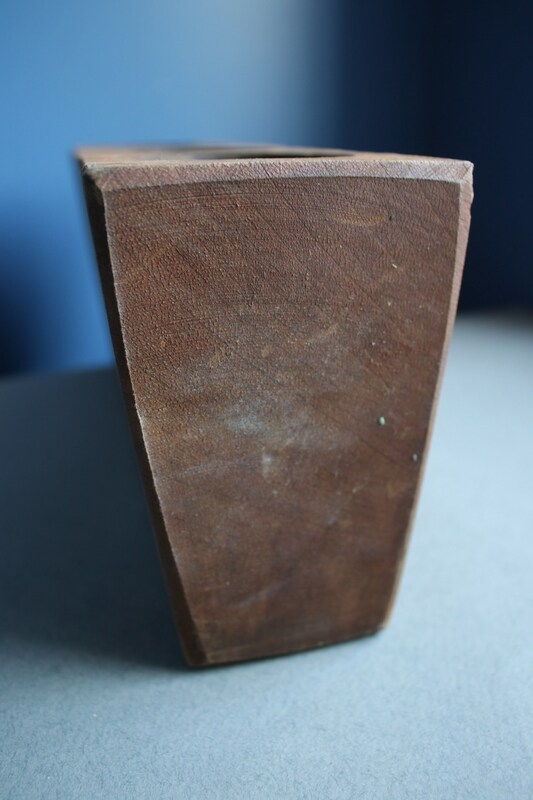 The mold has a patina as well as tree rings and some uneven areas and splitting (which does not penetrate through but is only surface), the latter as seen in the second photo. Please let me know if you would like more photos as I'll be happy to oblige. 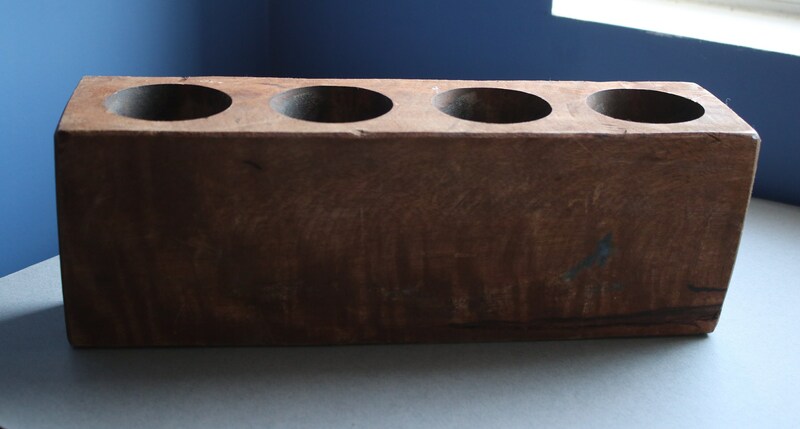 Based on the mold's attributes, I believe this is a vintage handmade mold and not a mass-produced piece. Please note that any overage in shipping of $1.00 or more will be refunded to you upon shipment of your sugar mold.